At GMMH we understand that coming into a hospital can be a worrying and anxious time for you. It is important that you know that when you do come to us for your care, you will be well-looked after by highly-skilled and experienced staff who will do their utmost to help through your recovery. To further reassure you, we will publish our staffing levels every month, so you can see how we staff our wards and that we operate at a safe level. Effective staffing levels are crucial to making sure we offer you the best possible care and we want you to know that we take this issue very seriously from board level to front line staff on the wards. If there is ever a situation where the levels fall beneath our standards we will use this page to explain what has happened and how we are putting it right. It is important to us that we are open and transparent at all times – these are your services and we want you to have confidence in them. 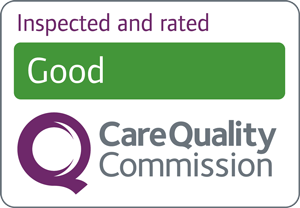 It may also reassure you to know that our staff are committed to the Trust’s values which describe a set of behaviours that you can expect to see when receiving care from us. These values came from our service users and patients who told us what good care felt like. We have tried to capture these sentiments and use them to help us make decisions about who we recruit and they are constantly reinforced through induction, appraisals, supervision and through our performance. Below are the staffing levels for the Trust, including when it was still Greater Manchester West Mental Health NHS Foundation Trust, prior to the acquisition of Manchester Mental Health and Social Care NHS Trust on 1 January 2017. For more information you can download our Customer Care Team leaflet [pdf] 546KB. If you would like a copy of this leaflet in a different language or format please contact the Trust's Customer Care Manager using the details above. Visit the GMMH page on NHS Choices by clicking here.